CHARLEVOIX, Mich. — The Committee to Ban Fracking in Michigan, a statewide ballot initiative campaign, announced on May 16, that it has now collected beyond the required minimum number of signatures, 252,523, and is collecting a “cushion” it hopes will be in time for the November 2018 ballot. In the event the Committee does not have a large enough number of extra signatures beyond the minimum, volunteers will collect signatures through the summer and submit them for the 2020 election. The current deadline for filing signatures for statutory initiatives for the 2018 election is May 30. The Committee is urging those who want to see the measure on the ballot to volunteer by going to the campaign website. A majority of Michigan voters favor a ban on horizontal fracking and frack wastes according to polls. 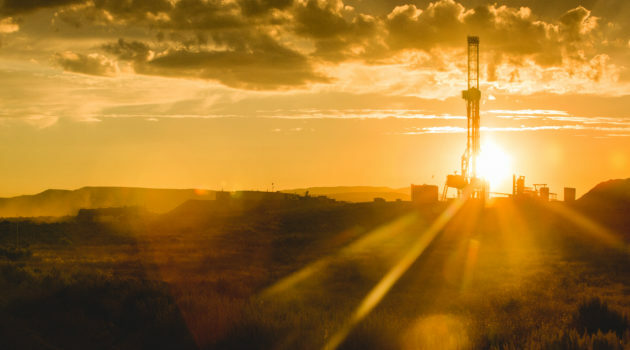 Over 70 horizontal frack well permits have been granted by the Michigan Department of Environmental Quality, and frack wastes are disposed of in some of over 1,400 injection wells. The committee asserts that new natural gas plants proposed for Michigan would make Michigan dependent on fracked gas for decades to come. Vermont, New York, Hawaii and Maryland are states that have already banned fracking, and other state legislatures are considering bans. “The devastating health impacts are becoming more known and studied, with now over 1,300 peer-reviewed studies, as compiled by Concerned Health Professionals of New York in the Compendium of Scientific, Medical and Media Findings Demonstrating Risks and Harms of Fracking,” said Kozma. The Michigan ban fracking ballot statewide initiative campaign began its current petition in 2015. In 2016, the Committee filed a lawsuit for a declaratory judgment that the signature-gathering law restricting signers to a 180-day period is unconstitutional for statutory initiatives under Article 2 Section 9. The courts said the case was not ripe, because the committee had not yet collected and submitted its signatures “albeit during a time frame outside of the 180 day rule” first, and did not hear the case. When the Committee submits the signatures, it will file a new lawsuit when the State rejects the filing of signatures as insufficient. The Committee points out in its case filings that the constitution does not have any time restrictions for statutory initiative, as it does for referendum, nor does that section allow the Legislature to restrict the people’s constitutional right to statutory initiative. Attorney General Frank Kelley struck down a previous version of the 180-day signature gathering law as unconstitutional in 1974 and for statutory initiatives it was not reversed. A new version of the law went into effect in 2016. For more information about fracking and its potential environmental effects, go to letsbanfracking.org.